Pain medications are drugs used to relieve discomfort associated with disease, injury, or surgery. Because the pain process is complex, there are many types of pain drugs that provide relief by acting through a variety of physiological mechanisms. Paracetamol is indicated for the relief of mild pain. Paracetamol is used to treat many conditions such as headache, muscle aches, arthritis, backache, toothaches, colds, and fevers. It relieves pain in mild arthritis but has no effect on the underlying inflammation and swelling of the joint. How should I take Paracetamol? Always take Paracetamol tablets exactly as your doctor has told you. If you are not sure, check with your doctor. Swallow the tablets with water. Take this medicine for as long as your doctor tells you to. How long will Paracetamol need to be taken for? Depending on the severity of pain and the assessment of our trained doctors you will be advised on the duration of treatment with Paracetamol. Are there any foods or drinks (including alcoholic drinks) that I should avoid whilst I am taking Paracetamol? Tell your doctor if you are pregnant or planning to become pregnant, or are breast-feeding. Ask our doctor ofor advice before taking any other medicine. Drinking alcohol whilst taking Oxycodone may make you feel more sleepy or increase the risk of serious side effects such as shallow breathing with a risk of stopping breathing, and loss of consciousness. It is recommended not to drink alcohol while you’re taking Oxycodone. You should avoid drinking grapefruit juice during your treatment with this medicine. Can I breast feed if I am taking Oxycodone? Maternal use of oral narcotics during breastfeeding can cause infant drowsiness, central nervous system depression and even death. Infant sedation is common and well documented with maternal use of oxycodone. Newborn infants seem to be particularly sensitive to the effects of even small dosages of narcotic analgesics. Once the mother's milk comes in, it is best to provide pain control with a nonnarcotic analgesic and limit maternal intake of oral oxycodone (and combinations) to a few days. Can I drive while I am taking Paracetamol? Paracetamol tablets has no influence on the ability to drive and operate machinery. Tramadol is an opiate pain medication used to treat moderate pain. There are several mechanisms through which Tramadol might work. Clinical studies on Tramadol suggest that the active drug molecules also exert their action by decreasing the transmission of nerve signal carrying pain sensation. This effect is achieved by direct action of Tramadol on mu-opioid receptors (receptors that accept information about moderate to severe intensity pain). However, unlike most narcotic agents, the Tramadol effect is very mild (1/10 of that of morphine). You should take your medicine as directed by the doctor. The pharmacist’s label should tell you how much to take and how often. If it does not or you are not sure ask the doctor or pharmacist. The doctor will keep you under regular supervision while you are taking this medicine, and will advise you how long to keep taking it. How long will Tramadol take to work and what is it’s duration of action? The onset of action of Tramadol immediate release formulations begins approximately within one hour after administration and peaks within 2-3 hours. The duration of action for immediate release formulations such as oral and injections is 4-6 hrs. You should not take Tramadol for longer than necessary. If you need to be treated for a longer period, your doctor will check at regular short intervals (if necessary with breaks in treatment) whether you should continue to take Tramadol and at what dose. If you have the impression that the effect of Tramadol is too strong or too weak, talk to the doctor. Can I stop taking Tramadol suddenly? Always ask the doctor first before you stop taking your medicine. In very rare cases, withdrawal symptoms may be experienced when your treatment is stopped. Are there any foods or drinks (including alcoholic drinks) that I should avoid whilst I am taking Tramadol? Do not drink alcohol while taking Tramadol without first asking your doctor. Can I use Tramadol during Pregnancy? Do not take this medicine without first consulting with your doctor if you are pregnant, planning to become pregnant or are breast-feeding. Chronic use during pregnancy may lead to withdrawal symptoms in the newborn baby. Can I breast feed if I am taking Tramadol? The transfer of Tramadol into milk is low and even lower amounts of the active metabolite, O-desmethyltramadol, is transfered. With usual maternal dosage, the amount transfered into breastmilk is much less than the dose given to newborn infants for analgesia. A study in breastfed newborn infants found no adverse effects attributable to Tramadol. Tramadol is unlikely to adversely affect nursing infant and is acceptable to use during breastfeeding. However, monitor infants for increased sleepiness (more than usual), difficulty breastfeeding, breathing difficulties or limpness, and contact the doctor immediately if any of these occur. Can I drive while I am taking Tramadol? This medicine may make you feel dizzy or drowsy when you first start to take it. Do not drive or operate machinery until you know how the medicine affects you. Buprenorphine belongs to a group of medicines called strong analgesics or ‘painkillers’. They are prescribed to relieve moderate, long-lasting pain that requires the use of a strong painkiller. There are several mechanisms through which Tramadol might work. Clinical studies on Tramadol suggest that Buprenorphine's analgesic effect is due to partial agonist activity at mu-opioid receptors. Buprenorphine is also a kappa-opioid receptor antagonist. The partial agonist activity means that opioid receptor antagonists (e.g., an antidote such as naloxone) only partially reverse the effects of buprenorphine. The binding to the mu and kappa receptors results in hyperpolarization and reduced neuronal excitability. Furthermore, buprenorphine slowly dissociates from its receptor. This observation would account for the longer duration of action compared to morphine, the unpredictability of its reversal by opioid antagonists, and its low level of manifest physical dependence. Its receptor fixation half life is 40 minutes which is significantly longer than morphine (milliseconds). Transdermal Patch: You should take your medicine as directed by the doctor. Your doctor will decide which strength of Buprenorphine patch will suit you best. During treatment, your doctor may change the patch you use to a smaller or larger one if necessary. You should not apply more than two patches at the same time, regardless of the patch strength. Always use the Buprenorphine patch exactly as your doctor has told you. You should check with your doctor, if you are not sure. If you stop using Buprenorphine too soon or you interrupt your treatment your pain may return. If you wish to stop treatment please consult your doctor. They will tell you what can be done and whether you can be treated with other medicines. Are there any foods or drinks (including alcoholic drinks) that I should avoid whilst I am taking Buprenorphine? Do not drink alcohol when you are being treated with buprenorphine. Alcohol increases the sedative effects of buprenorphine, which can make driving and operating machinery dangerous. Can I use Buprenorphine during Pregnancy? Before taking Buprenorphine tell he doctor if you are pregnant or trying to become pregnant. If you become pregnant during treatment with Buprenorphine tell your doctor straight away. Buprenorphine should only be used in pregnancy if the benefits outweigh the possible risks. Neonatal withdrawal symptoms, including respiratory suppression have been reported after treatment of mothers in the last part of the pregnancy. 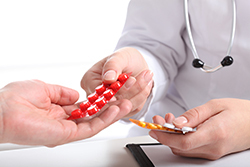 Your doctor will decide if you should be treated with Buprenorphine. Can I breast feed if I am taking Buprenorphine? Since this product will pass into your milk and may adversely affect the breast-fed child, you should discontinue breast-feeding while taking Buprenorphine tablets. What is Nalbuphine used for? Nalbuphine is indicated for the relief of moderate to severe pain. Nalbuphine is a mixed agonist–antagonist opioid. It derives its analgesic and sleep-producing effects through agonism (i.e. activation) at the kappa-opioid receptor, and it also has the potential to attenuate (i.e. block) the mu-opioid receptor-related adverse events. How should I take Nalbuphine? Nalbuphine is generally administered under doctor supervision and our trained doctors will assist you in administration of Nalbuphine injections. How long Nalbuphine take to work and what is it’s duration of action? The onset of action of Nalbuphine occurs within 2 to 3 minutes after intravenous administration and clinical studies show that the duration of analgesic activity ranges from 3 to 6 hours. How long will Nalbuphine need to be taken for? Depending on the severity of pain and the assessment of our trained doctors you will be advised on the duration of treatment with Nalbuphine. Drug interactions while being treated with Nalbuphine? Possible additive effects with other opioid analgesics, general anesthetics, phenothiazines, or other tranquilizers, sedatives, hypnotics, or other CNS depressants (eg, alcohol); reduced dose of one or both agents when used in combination. Caution with mu agonist opioid analgesics (eg, morphine, oxymorphone, fentanyl); may precipitate withdrawal. Can I drink alcohol while I am taking Nalbuphine? Do not use alcohol or medications that contain alcohol while you are receiving treatment with Nalbuphine. This may increase nervous system side effects such as drowsiness, dizziness, lightheadedness, difficulty concentrating, and impairment in thinking and judgment. Can I breast feed if I am taking Nalbuphine? Nalbuphine is passed into breast milk in amounts much smaller than the dose given to infants for analgesia. Because nalbuphine has poor oral absorption, it is unlikely to adversely affect the breastfed infant. No special precautions are required. Labor pain medication may delay the onset of lactation. Can I drive while I am taking Nalbuphine? Nalbuphine may impair the mental or physical abilities required for the performance of potentially dangerous tasks such as driving a car or operating machinery. Oxycodone is indicated for the relief of moderate to severe pain. Oxycodone acts as a weak agonist at mu, kappa, and delta opioid receptors within the central nervous system (CNS). Oxycodone primarily affects mu-type opioid receptors, which are coupled with G-protein receptors and function as modulators, both positive and negative, of synaptic transmission via G-proteins that activate effector proteins. Binding of the opiate stimulates the exchange of GTP for GDP on the G-protein complex. As the effector system is adenylate cyclase and cAMP located at the inner surface of the plasma membrane, opioids decrease intracellular cAMP by inhibiting adenylate cyclase. Subsequently, the release of nociceptive neurotransmitters such as substance P, GABA, dopamine, acetylcholine, and noradrenaline is inhibited. Opioids such as oxycodone also inhibit the release of vasopressin, somatostatin, insulin, and glucagon. Opioids close N-type voltage-operated calcium channels (kappa-receptor agonist) and open calcium-dependent inwardly rectifying potassium channels (mu and delta receptor agonist). This results in hyperpolarization and reduced neuronal excitability. How should I take Oxycodone?? Oxycodone is generally administered under doctor supervision and our trained doctors will assist you in administration of Oxycodone. How long will Oxycodone need to be taken for? Depending on the severity of pain and the assessment of our trained doctors you will be advised on the duration of treatment with Oxycodone. Are there any foods or drinks (including alcoholic drinks) that I should avoid whilst I am taking Oxycodone? Drinking alcohol whilst taking Oxycodone may make you feel more sleepy or increase the risk of serious side effects such as shallow breathing with a risk of stopping breathing, and loss of consciousness. It is recommended not to drink alcohol while you’re taking Oxycodone. You should avoid drinking grapefruit juice during your treatment with this medicine. Can I drive while I am taking Oxycodone? These tablets may cause a number of side effects such as drowsiness which could affect your ability to drive or use machinery. These are usually most noticeable when you first start taking the tablets, or when changing to a higher dose. If you are affected you should not drive or use machinery. Fentanyl is used to manage moderate to severe pain, usually in people who have chronic pain. It may also be used for breakthrough pain. Fentanyl is often used when your other pain medicines no longer work. Fentanyl acts upon specific receptors in your brain and spinal cord to decrease the feeling of pain and to reduce your emotional response to pain. It is a potent, synthetic opioid analgesic with a rapid onset and short duration of action. Action usually starts within a couple of hours and reaches peak levels within 18 – 24 hours, while effect lasts for almost 72 hours. Fentanyl is approximately 80 to 100 times more potent than morphine. When should I take Fentanyl? Depending on the delivery form (tablet, patch, injection etc) prescribed by the doctor, you will be requested to follow the strict regime. How should I take Fentanyl? Transdermal Patch: The Fentanyl patch should be replaced every 72 hours. Our trained doctors will guide on how to use, report and dispose of the Patches. How long will Fentanyl take to work? Injections: Onset of action after intravenous administration (Injection) of Fentanyl is 3-5 minutes; duration of action is 30-60 minutes. Transdermal Patches: The patches work by slowly releasing fentanyl through the skin into the bloodstream over 48 to 72 hours, allowing for long-lasting pain management. Under normal circumstances, the patch will reach its full effect within 12 to 24 hours; thus, fentanyl patches are often prescribed with a fast-acting opiate (such as morphine or oxycodone) to handle breakthrough pain. How long will Fentanyl need to be taken for? Depending on the severity of pain and the assessment of our trained doctors you will be advised on the duration of treatment with Fentanyl. Can I stop taking Fentanyl suddenly? For best results, you should follow the doctor’s advice who will assist you in managing your pain and slowly reduce the use of Fentanyl. Are there any foods or drinks that I should avoid whilst I am taking Fentanyl? Can I drink alcohol while I am taking Fentanyl? Do not use alcohol or medications that contain alcohol while you are receiving treatment with Fentanyl. This may increase nervous system side effects such as drowsiness, dizziness, lightheadedness, difficulty concentrating, and impairment in thinking and judgment. Can I breast feed if I am taking Fentanyl? Fentanyl is passed on into the breast milk and may cause sedation and respiratory depression in the breastfed infant. Breastfeeding should therefore be discontinued during treatment with Fentanyl and for at least 72 hours discontinuation of Fentanyl. Can I drive while I am taking Fentanyl? Driving is not advised when taking Fentanyl. Fentanyl can cause drowsiness and initially can reduce your reaction times, especially if you take alcohol or other sedatives at the same time. This could cause you to have an accident putting yourself and others at risk. Morphine is used to help relieve moderate to severe pain. It can be used for both acute and chronic pain. Opiate drugs, such as morphine, interact with opioid receptors and produce analgesia by either hyperpolarization of inter-neurons and depressing the release of transmitters associated with transmission of pain. In addition, morphine can interact with opioid receptors located in the supraspinal structures and activate the supraspinal system. When should I take Morphine? Take morphine exactly as prescribed by our trained doctors. Follow all directions on your prescription label. Morphine can slow or stop your breathing, especially when you start using this medicine or whenever you dose is changed. Never take morphine in larger amounts, or for longer than prescribed. Tell our trained doctors if the medicine seems to stop working as well in relieving your pain. The onset of action of Morphine depends on the delivery form. Can I drink alcohol while I am taking Morphine? Do not drink alcohol. Dangerous side effects or death can occur when alcohol is combined with morphine. Check your food and medicine labels to be sure these products do not contain alcohol. If I am on the contraceptive pill, how will Morphine be affected? Increased clearance of morphine is seen from the body due to increased glucuronidation caused by co-administration of oral contraceptives. The morphine response needs to be monitored closely and the dose adjusted if needed. Tell our trained doctors and they will assist you with managing your pain better. Can I breast feed if I am taking Morphine? Epidural morphine given to mothers for postcesarean section analgesia results in trivial amounts of morphine in their colostrum and milk. Intravenous or oral doses of maternal morphine in the immediate postpartum period result in higher milk levels than with epidural morphine. Maternal use of oral narcotics during breastfeeding can cause infant drowsiness and central nervous system depression. Newborn infants seem to be particularly sensitive to the effects of even small dosages of narcotic analgesics. Can I drive while I am taking Morphine? Morphine may impair your thinking or reactions. Avoid driving or operating machinery until you know how morphine will affect you. Dizziness or severe drowsiness can cause falls or other accidents.